One of my favorite things to do at the end of the year is balance the books and review the “big hitters” for what drove our financial position. Does that make me a nerd? Yes, yes it does. And I’m ok with that. 2018 was a pretty big year for the Wealthy Nickel household. We had planned to slow down our real estate side hustle after Little Nickel #2 was born, so we stopped intentionally looking for new deals and sold a few of our rental properties to diversify into other investments. I learned a lot about crowdfunded investments, and we started to generate a small amount of truly passive income through that. We have been truly blessed to keep the momentum going on our path to financial independence. Here is a review of some of the major focus areas for our finances in 2018. 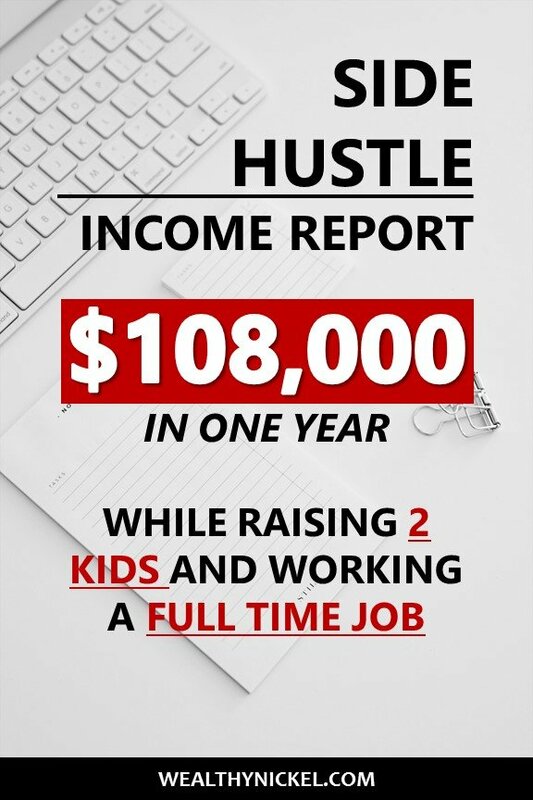 As a family of four living on a single income, one of the things I knew we had to do to was increase our income through investments and side hustles that didn’t take a lot of extra time. In that regard, 2018 was a resounding success. We ended 2018 with the highest (before tax) side income total we’ve ever achieved, almost $108,000! Here’s the breakdown by month. And here is the breakout by category. 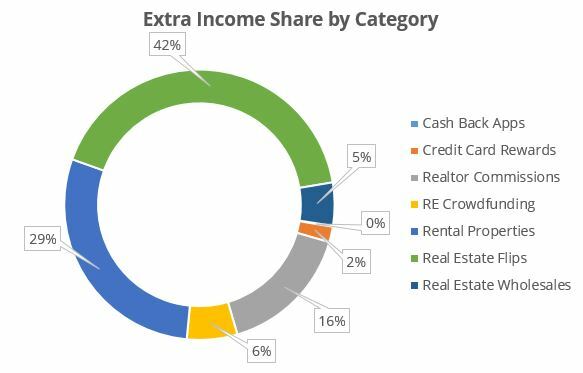 My side hustle of choice is obviously real estate, but it is surprising how much diversification there is into different types of real estate income, some active and some passive. Read on for more details. We started off the year with 9 rental units across 8 properties (6 single family homes, 1 condo and 1 duplex). Our local market has experienced quite a bit of appreciation over the last 5 or so years, but rents have not been increasing at the same rate. As opportunities arise (i.e. when a tenant moves out), we were looking to strategically sell off a few properties and move that money into different investments. We ended up selling 2 of our properties, and ended the year with 7 rental units. The 2 we sold roughly broke even on cash flow due to some repairs we did prior to selling as well as paying the mortgage and utilities while they were vacant, so the numbers here are for the 7 we held all year. As a rough goal, we would like to make $300 per month per unit in cash flow, so that is $2,100 per month or about $25,000 per year. We were able to exceed that goal with total cash flow of $31,253! This is actual cash hitting our bank account. There are a lot of benefits to owning rental real estate that you don’t really see until you sell. For example, in addition to the cash flow we had principal paydown (reduced our mortgages) by $8,794. In addition, our properties will hopefully continue to appreciate over time, which has been a big driver of our net worth. This includes $865 in late fees, and a $100 rent credit I gave one tenant for putting up with a lot of inconvenience while doing some needed repairs. These expenses represent the mortgage payments on the properties. We paid about $22k in interest, $9k in principal, $21k in property taxes, and $4k in insurance. The rent and mortgage payment are pretty much the same every month. Maintenance and capital expenditures is where things can get crazy. 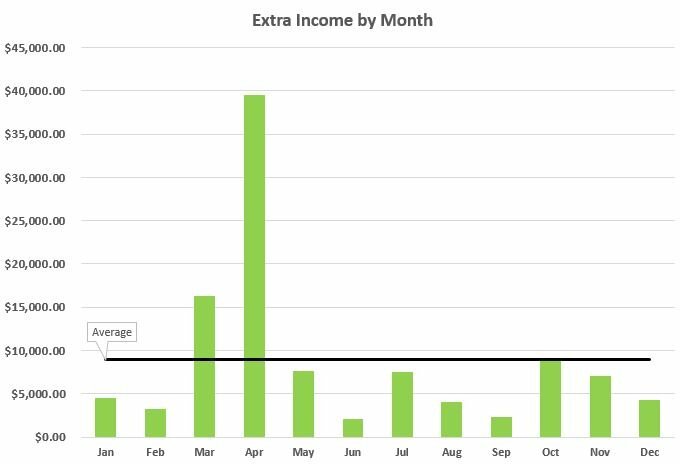 You can see our total cash flow by month for the year. It is all over the map, and one month we even LOST $7,000. It just so happens we had two major issues happen in the same month. We had a flooding issue where we had to replace some flooring and do extensive drainage work, and at a different property, the plumbing from 1910 finally gave up the ghost and we had to replace ALL of the plumbing under the house. This is probably my least favorite thing about owning rentals – the “surprise” issues that pop up, usually when we are out of town or some other inconvenient time. Even though it would make a significant dent in our cash flow, we have thought about turning everything over to a property manager just so we don’t have to be the one taking the calls. This includes property management for our one out of state rental, utilities, gift cards we send to the tenants at Christmas, and a few other miscellaneous items. *Accounting note: If you do the math, you’ll notice the income minus expenses doesn’t exactly match cash flow. We use Quickbooks, and cash flow is based on the Cash Flow Statement, which takes into account some other things, mainly that what we pay into our mortgage escrow accounts is not exactly what taxes and insurance actually cost for the year. This is probably the most accidental $45,000 we’ve ever made in our lives. We stopped marketing for new houses to buy at the beginning of 2017, and this lead was over a year old when we finally got it under contract at the end of 2017. The seller originally contacted us through our “we buy houses” website in 2016 (don’t laugh at the terrible website design) because he was planning to retire and move out of the city. His house needed A LOT of work, which he didn’t want to do before selling. We gave him an offer, and he said he’d think about it. After over a year of following up with him every few weeks, he said he was finally ready to sell. After closing, we realized the house needed even more work than we thought, including major foundation and plumbing repairs. But we got lucky as the market at the beginning of 2018 hit it’s absolute peak, and the house was worth $30k more than I thought it was when we made the original offer back in 2016. 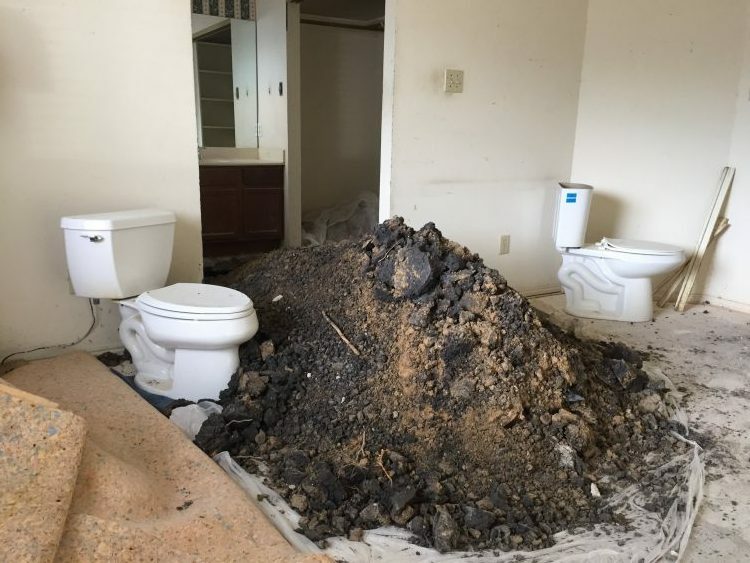 Giant dirt pile (and two toilets) in the master bedroom as plumbers try to find one of the leaks under the slab. After foundation work, plumbing work (to fix all the leaks caused by the foundation work), unexpected termite infestation, and completely gutting every square inch of the house, it turned out beautifully! 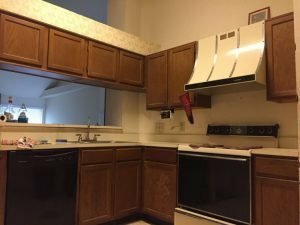 We ended up putting about $50k into the rehab, and the uptick in the market helped us sell it for way more than we originally thought. Our final profit (before taxes) was about $45k. A lot of people would say we got lucky (and we did), but we have been working hard at finding good deals and running conservative numbers for a few years now. In large part, luck is the intersection between hard work and opportunity. That said, I don’t expect to see these kinds of numbers again anytime soon. We aren’t actively looking for more flips, and the market has certainly cooled off. Wholesaling is basically like flipping houses, except without all the work involved. We get a house under contract at a below market price, and sell that contract for a fee to another investor that wants to do the work. A few years ago, I was really pushing to try to turn our flipping and wholesaling side hustle into a full time job. I realized I didn’t love it enough to do it full time, so I pulled back the reins. 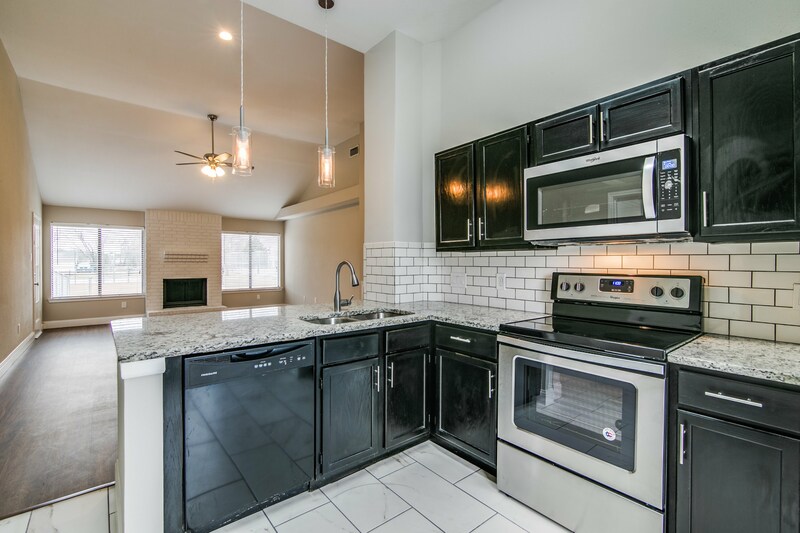 I was able to work out a deal with them that they were happy with, and partnered with another investor for a $6k profit for them to take over the contract and close on it. So we did one wholesale for $6k profit, and had about $500 of expenses, mostly related to our house buying website and some ongoing fees associated with the flipping/wholesaling business. My wife got her real estate license back when we started investing with the sole intention of using it to save money on commissions for our own personal transactions. As an unforeseen bonus, over the last few years she’s been able to make $15-20k per year in profit mostly from helping friends, family, and neighbors buy and sell their houses. My wife kind of gets shortchanged here as she does a lot of work in buying and selling our own houses (such as the flip we did, and the two rental properties we sold). None of that gets counted here because we basically give up her commission if it’s for something we personally own. In 2018, my wife did about 6 transactions for friends a family (including some leases which don’t pay very much). One thing a lot of people don’t realize about being a real estate agent is that it is expensive to maintain your license. She spends $3-4k per year on dues, subscriptions, and education. At some point it may not make sense for us to keep her license up, but for now it’s been a nice extra side income. I discovered the magical world of credit card rewards a few years ago and have not looked back. In 2018, we got $1,112 deposited into our account, mostly from sign-up bonuses, and then used additional reward points to buy $900 worth of plane tickets to go home for Christmas. For more about how we used our reward points to book travel, see our October Income Report. This year, we focused on opening 3 new cards – a Chase Sapphire for me and one for my wife, and a Chase Ink Business card for our rental properties. Each Sapphire came with a 50,000 point bonus, and the Ink came with an 80,000 point bonus! In my opinion, the Chase Sapphire Preferred is a no-brainer if you’re a newbie at credit card rewards. 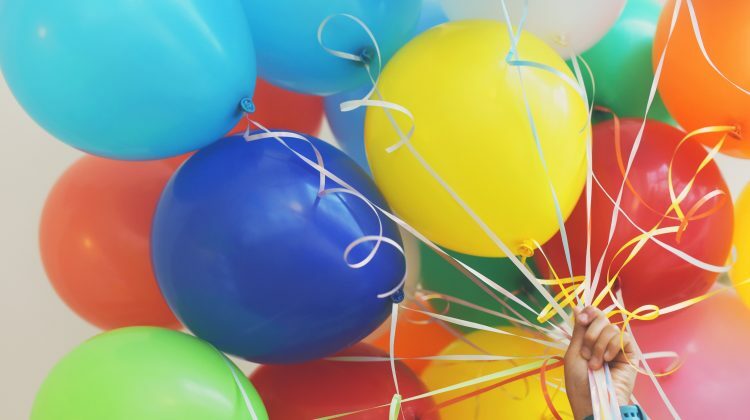 Get 50,000 rewards points ($500 cash or more if you redeem for travel) for spending $4,000 on the card in the first 3 months. Click here to see if you qualify for the Sapphire 50,000 point bonus. So not only did we get over $2k in cash, we are still sitting on about 150,000 points waiting to be used. Those unused points are worth another $1,500 in cash or about $2,250 if we use it for travel based on our past experience. I have a goal to make $500 per year with cash back apps. While that’s not a ton of money in the grand scheme of things, I like that it is almost completely passive (if you do it right). I just started this experiment in October, so $110 is not too bad in my book. My favorite apps right now are Drop, Dosh, Ebates, and Ibotta. Most give you cash back just for doing your normal shopping, but I’ve also found that there are a few easy hacks to get some decent rewards with a tiny bit of extra work. For example, in December, Ibotta had a $5 bonus reward for spending money at certain stores, one of which was World Market. They were ALSO giving 12% cash back at World Market. We like to stock up on whole bean coffee there because they have good prices and quality (in my opinion). It gets even better, because you can stack cash back apps, and Dosh was offering 4% cash back at World Market. And of course I get 1% cash back (in points) for using my Chase Sapphire card. Total of $10.09 cash back or 34% of the purchase price! As long as you have the discipline to not buy stuff you don’t need, I think everyone should have these cash back apps installed on their phone. It’s such an easy, automated way to boost your savings. Get the 4 Apps I Use and a $30 Cash Bonus When You Sign Up Now! 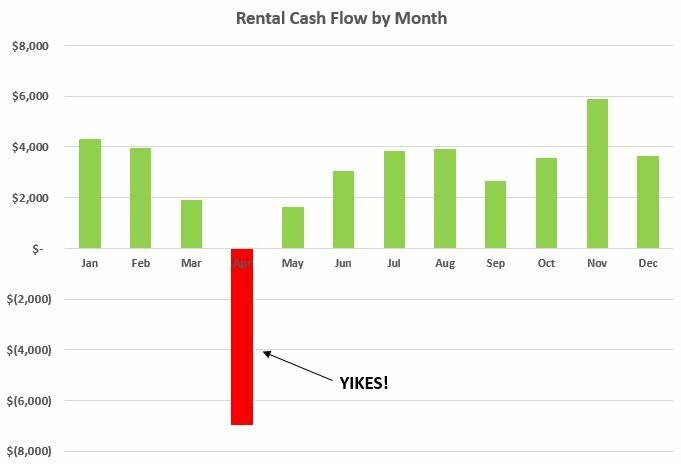 One of our goals in 2018 was to cash out some equity in our rental properties (see above) and move it into more passive investments. We’ve been slowly investing in private equity deals as a limited partner. This basically means we put in cash to own a small piece of the equity in an LLC, in exchange for a percentage of the profits. For the most part, I am looking for deals that provide some sort of periodic cash flow, rather than just an appreciation play (kind of like dividend stocks vs. growth stocks). Most deals that interest me have an 8-10% preferred return (what the investors get paid before the sponsor starts to participate in profits). I think over the long term, these deals should return 12-15% annualized IRR. Over the shorter term, the commercial real estate market is tough to predict. Cap rates have compressed about as much as they possibly can, and interest rates are starting to tick up. I am being very cautious and looking for strong cash flow every month over potential appreciation. In 2018, we got checks in the mail of $6,514 – the ultimate passive income. It’s also a good way to keep track of our trajectory on the path to financial independence – the higher the savings rate, the faster we can start living off our passive income and no longer rely on my day job and side hustles. If you aren’t familiar with the concept, I don’t think I can say it any better than Mr. Money Mustache in his article about the math behind early retirement. In 2018, our savings rate was 58%! 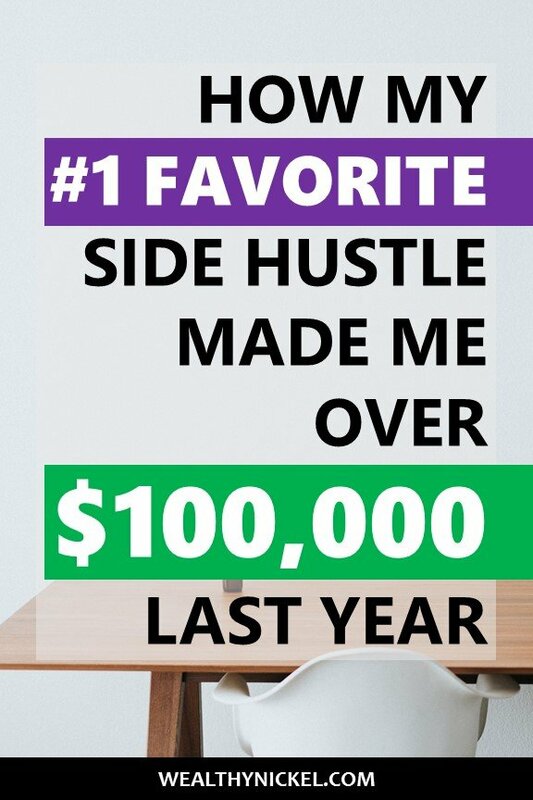 While I would love to say that that is a normal occurrence, we had a huge year with our side hustles, which significantly boosted our income. Our expenses were pretty much the same as they always are, so that didn’t affect the equation. In 2018, our net worth grew by 16%. Given that the stock market was slightly negative for the year, that is a respectable number. But it is slightly disappointing after seeing growth in the 30-40% range over each the past 5 years. There are a few variables that I think explain this change and why we should probably be expecting 10-15% in the future vs. 30-40%. As our net worth grows, it is much more dependent on the change in the value of our assets rather than our savings rate. When your net worth is $10,000 and you contribute $5,000 to your IRA, you just grew your net worth by 50% (all else being equal). When your net worth is $10,000,000, socking away $100,000 in a savings account only moves the needle by 1%. We are nowhere near the $10M mark, but our savings contributions continue to have a smaller and smaller impact on our net worth growth. We need to be more diligent in managing the assets we have. For the first time in 5 years, our real estate holdings did not increase in value. 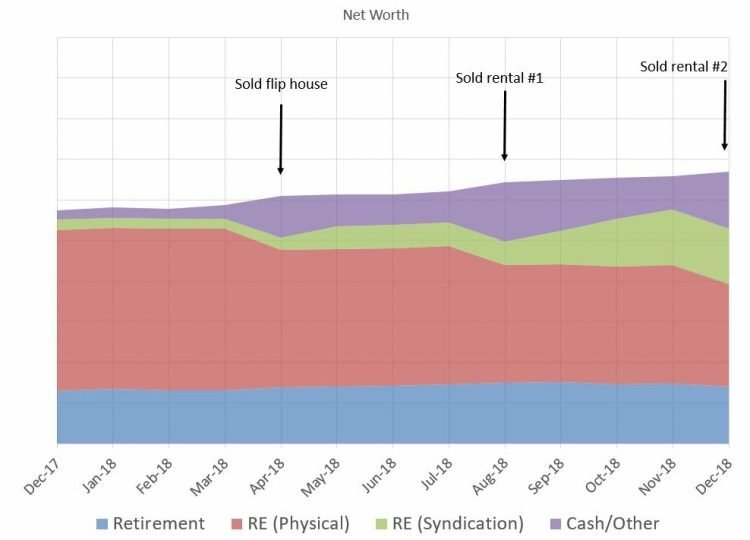 Granted this is somewhat subjective, but at the end of the year I re-evaluate what our rental properties are worth in the current market, and use about 90% of that value in our net worth statements (to account for transaction costs if we sold). For the first time, I decided not to increase the value of any of our houses. While I tend to be pretty conservative, the market seems to be cooling, and if I’m wrong I’d rather be wrong on the low side than the high side. Mr. Market did us no favors this year. After a few years of steady increases, we actually lost around $13k in value in our retirement accounts. The actual balances are up slightly only due to our contributions. We are not working as hard. We made the conscious decision to slow down our real estate side hustles when we started having kids. At 1 and 3 years old, we don’t have the time we used to have to spend on the business. The nice thing about real estate is that if you put in a few years of hard work, you can still coast and collect profits for years down the line. Keep opportunistically selling rental properties when it makes sense. Move that money into private equity commercial real estate or the stock market if it continues to fall. Make at least $50,000 in extra income outside my day job. Achieve a 50% savings rate. Max out our retirement accounts and HSA. Basically I am hoping to stay the course and diversify my investments a little bit away from the 80%+ rental real estate it has been in the past. What are your financial goals? Let me know in the comments! Andrew, those are some incredible results. Congrats on a great year! Thanks for sharing all of this here. Andrew, this is incredible! One day I hope to get into real estate flipping/investing. 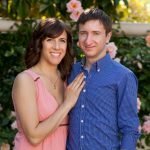 How do you feel about sites like Fundrise? I think that might be how I “test the real estate waters”. Thanks for commenting! I have not personally used Fundrise, but have heard good things and would recommend it as a way to dip you toe in the water. It’s basically a Private REIT with less liquidity than a publicly traded REIT. This allows them to make longer term decisions and theoretically make better returns. I think Fundrise is a good way to test the waters and get familiar with the real estate lingo, and they show you exactly what properties they are invested in which is neat.